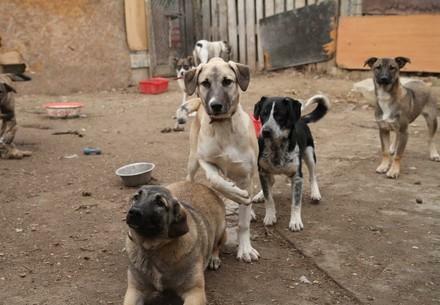 Our aid for strays is based on two approaches: Long-term missions, like in Romania, Bulgaria and Ukraine, as well as short-term castration projects in Germany, Austria and Switzerland. We are also active in Southeast Asia (Indonesia) und Oceania (Australia) and have completed successful missions in the past to South Africa, Thailand, Jordan, India and Albania, among other countries. Besides our nationwide projects to neuter strays, we run educational campaigns to improve the image of these animals. We believe that the life of every animal counts, and that each dog and each cat has earned a second chance. 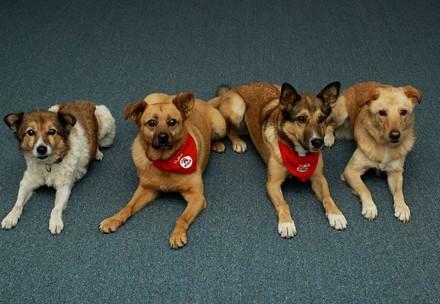 For this reason, some ten years ago we created the project Dogs for People that trains former strays as therapy dogs. Today, three of these animals work with children with special needs and teenagers, and visit elderly people in retirement homes. This project helps the animals, as well as people. We have been helping strays in Romania for over 20 years. Thanks to our sustainable neutering programme and the Catch-Neuter-Release method we have been able to castrate and give veterinary treatment to over 200,000 animals. Our teams have been active in over 40 cities and municipalities. Our mobile animal clinic enables us to travel around the entire country and help at those spots where dogs and cats need our support. Apart from the mobile clinic, in 2016 we opened a stationary facility at out partner animal shelter Speranta in the Romanian capital, Bucharest. In 2004, FOUR PAWS became the first organisation to launch an AAI programme in Romania. The Dogs for People project started with a mobile team providing therapy sessions in special center for kids with disabilities. In 2012, after 8 years working with children, FOUR PAWS extended the project to offer animal assisted activities (AAA) for institutionalized senior citizens in which therapy dogs visit patients with age-specific mental disabilities in retirement homes in Bucharest. The goal of AAA with elders is to support in building rapport, increasing self-esteem and motivation, and reducing loneliness and depression. In early 2016, FOUR PAWS opened the first AAI center in Bucharest where children are offered weekly support and therapy from our dogs Mulan, Toto and Tuca, and their handler, completely free of charge. That same year, the scope of the project expanded beyond AAI into research in the field of human-animal interaction and through a partnership with the Psychology Faculty of the University of Bucharest into education, by offering practice and education opportunities to students. In 2017, in an effort to meet the needs of a constantly changing society, our team developed the No Stress Programme, an animal-assisted intervention (AAI) aimed at reducing stress among company employees through interactions with dogs. So that we can continue to help stray dogs in Romania!